Some of you may read my document for installation of Maverick or Mountain Lion on Gigabyte B75M-D3H mainboard. 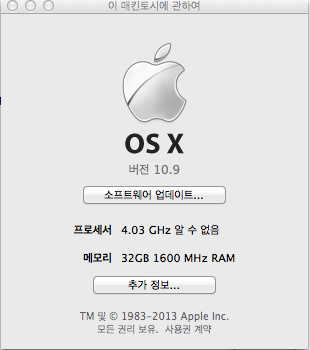 At that time I recommend you not to try to install Mac OSX with AMD CPU because it's waste of time & your energy. Summing up, it works finally like Maverick at Intel CPU though some trial & errors for several hours, and here goes the steps I took. Preparation : 8GB or larger USB stick, Real Mac or Hackintosh to create Unibeast USB booting disk & download Multibeast, Chameleon Wizard, Chameleon-2.2svn-r2266.pkg, cudadriver-5.5.28-macos etc. My PC environment : AMD 8350 CPU (Octacores), ASUS GTX 770 GPU, Gigabyte GA-990FXA-UD3, RAM 32GB, SSD Samsung 830 128GB, Samsung T27B300 LCD, Lenovo USB keyboard, Logitech G1 USB mouse. Asmedia SATA3 2 port expansion card. I recommend you to partition USB like this into 2 partitions : 1st for booting, 2nd for downloaded files in MBR type. I hope you are familiar with Unibeast already, the steps to create Unibeast USB is same as under Intel CPU environment. You may refer following URL to understand the concept of Unibeast & how to create it. I won't touch it in more detail here to save the time. The first file should be AMD kernel you download the URL above, unpack & copy into the 2nd partition. And, other files to install Maverick at Hackintosh are Multibeast, Chameleon Wizard etc. You're ready to install Maverick at AMD CPUs. No special BIOS settings are not required for AMD mainboard for me. I think Virtualization is enabled & AHCI for SATA. But, you need to change the hard disk to boot your USB memory stick at first. That's all. Other options like PCIRootUID=0, arch=x86_64, nosse3bit are not required for Maverick for me. Finally, the installation completed with "Install Succeeded" message. I open the terminal quickly at this point to prevent from automatic booting! You need to type in the password of administrator. Now, you can reboot your Maverick installed PC to install other tools like Multibeast. 5. Install Multibeast, Chameleon Wizard etc. Those steps are not special, but this is my org.chameleon.Boot.plist FYI: ( smbios for MacPro5,1 hangs but MacBookPro 8.3 works well. Oh you may wonder which type of soundcard & LAN card should be selected for this mainboard : Audio - Realteck ALC889, LAN - Realtek RTL8111E. 1. npci=0x3000 leads no sound, but removing this option leads [PCI Configuration Begin] hang. I'm trying to find out the other solutions, but the tentative solution is to use "Voodoo driver without DSDT". Please let me know if anybody solves this issue without using Voodoo driver. 2. Minor issues still exist : No iMessage, No iCloud. 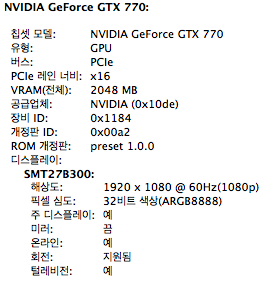 we need to find the optimal smbios.plist, but impossible to find for AMD platform like GA-990FXA-UD3. Still under wokring to find the optimal smbios.